Richard Richter, DMD, FAGD provides comprehensive dentistry in East Quogue for you and your loved ones. Our dental practice is dedicated to a standard of excellence, from compassionate chairside manner to state-of-the-art technology and treatments. Our quaint dental office offers one-on-one appointments with a relaxing view from windows in each operatory. Enjoy the simplicity the Hamptons have to offer when receiving dental care. Contact Hampton Family Dental PC today. Dr. Richter is dedicated to continued education and staying abreast of the latest approaches in dentistry. 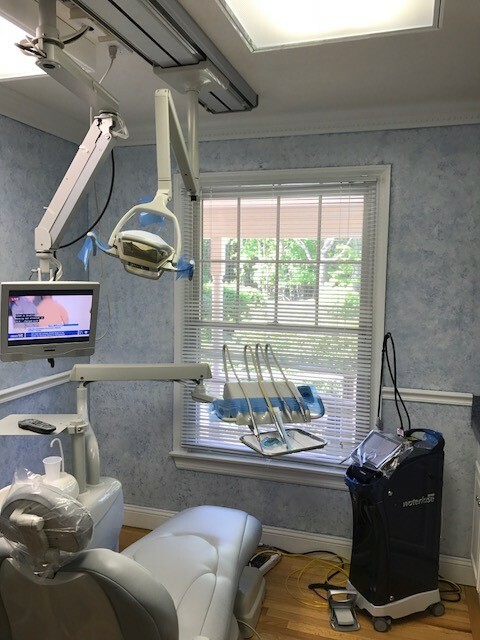 Utilizing advanced technology such as dental lasers, CEREC machines, digital x-rays, and intraoral cameras, we provide comprehensive dental care with a modern touch. At our East Quogue dental practice, Dr. Richter and his staff are committed to providing multi-faceted dental procedures for our patients. We work with specialists in the field so that our patients receive the best that dentistry has to offer. Our dentist takes the time to formulate a treatment plan that best solves your dental concerns, helping patients achieve the smile they’ve always wanted and maintain their oral and overall health. We established our East Quogue dental practice in 2006 to better serve our patients in the area. Located at 421 Montauk Highway East Quogue, NY 11942, we are on the right-hand side across from the Gulf gas station on the corner. To enter our parking lot, turn down Weesuck Ave. With the same dedication to high-quality dentistry as our Patchogue dental practice, Hampton Family Dental PC treats all our patients like family, ensuring everyone receives the dental care they need. We welcome you to our East Quogue dental practice, where we provide comprehensive dental treatments and emergency dental services. Contact Dr. Richard Richter today to schedule your free consultation today! Click the button below to view a tour of our office.